Who we are? : We are teachers, we are students, we are workers, we are administrators, we are fathers, we are mothers, we are grandparents, we are grandchildren, we are blessed, we are struggling, we are hopeful, we are artisans, we appreciate artisans, we are faithful, we are reasonable, we are a collaborative ensemble of amateur and professional musicians, artists, social service, community organization providers and members, from the local northwest Indiana community. ​in our daily professional work and in our personal lives. ​Why do we do this once a year? 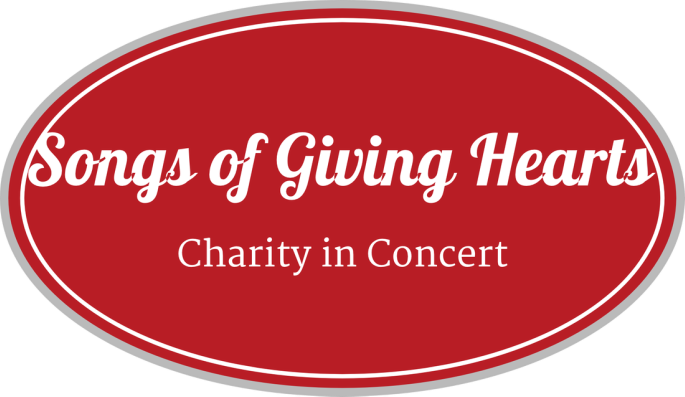 : Songs of Giving Hearts Concerts are a collaboration by diverse and ecumenical charitable artists who present artistic and music events to promote community awareness and charitable giving to benefit selected and designated local food pantries and charitable progams. 2013- monetary donations went to Citizens Concerned for the Homeless, dry goods donations went to the food pantries of Sacred Heart Church. 2014- monetary donations were given to Citizens Concerned for the Homeless dry goods, winter clothing, donations were distributed to local food pantries and to local homeless shelter programs, and Sandcastle Family Shelter. 2015- monetary donations were presented to Citizens Concerned for the Homeless; dry goods & winter clothing distributed to the local food pantries and local homeless family shelter and Keys to Hope Resource Center. 2016- Our designated charity and awareness raising focus was the Interfaith Mens Winter Shelter of Michigan City; A Hand Up, a transitional housing program for women homeless veterans and awareness raising about the plight of homeless Veterans in La Porte County, IN. among homeless and veterans. We hope as well that there will be ongoing donations of time and talent, food pantry goods, winter clothing. What do these concerts cost? free will monetary donations are all welcome contributions.